CCI BLAZER 9mm 115gr Brass - 350 Rounds. Blazer Brass brings shooters the reliability and quality of ammunition built to SAAMI standards and is backed by stringent ISO certified quality systems. 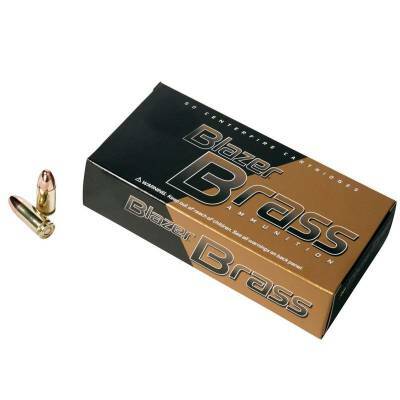 Blazer Brass is loaded in reloadable brass cases for added value. Standard Boxer-type primers and primer pockets mean you can reload Blazer Brass cases just like any other case. Blazer Brass is loaded with a protected-base FMJ bullet. CCI primers insure reliable ignition and we load clean-burning propellants.